Out of the ashes of The Clone Conspiracy, Ben Reilly is alive once again - and has taken up the mantle of the Scarlet Spider once more! But with enemies bearing down on him from every side, neither of those status quos might last for too much longer! Ben is running out of options and running out of time! And it doesn't help that one of the people out for his blood is his spider-powered, web-slinging "sibling" - fellow clone Kaine! 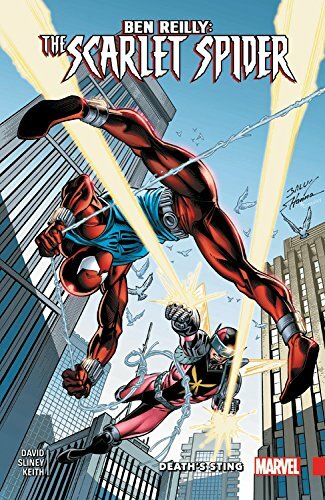 Can Ben Reilly run this latest gauntlet and emerge victorious, or will he lose his new lease on life?